Simpsons, Oom Pa Pa, and Random Note signals. Introduced by Fish as "a very nice song, a sad lament, where I am left out naked on the plank (I can get arrested for that these days)" and he directed a crowd sing-along accompaniment to his vacuum solo. 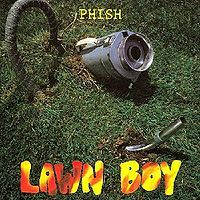 After Stash, Page made an announcement on behalf of the building manager that “for your own safety the aisles must be cleared.” Trey then noted that this was the band’s first appearance in Delaware, and Trey and Page dedicated Lawn Boy to the state of Delaware. Wilson contained Simpsons, Oom Pa Pa, and Random Note signals. The YEM vocal jam contained a Lion Sleeps Tonight theme. Fish introduced Lengthwise as “a very nice song, a sad lament, where I am left out naked on the plank (I can get arrested for that these days)” and he directed a crowd sing-along accompaniment to his vacuum solo. Another strong show that doesn't quite achieve the heights of 2.12 or 2.7, but is reaching and, for the most part, succeeding. The first set is remarkably similar to 2.9's first set. Both shows open with Bowie > Bouncing > Poor Heart and both close with Maze > Golgi. The same three songs open and the same two songs close. That's five songs the two share. Rift to help fill the space in between makes six. However, these sets are definitely not equal; this one is far better. Ice > Glide > Rift > Stash > Lawn Boy flows far better than MFMF > Rift > The Wedge > Chalk Dust > Esther giving this show the better "meat" of the two. The "bread" of each set is pretty comparable, but this "meat" is much more tender, juicy, and succulent. They liked to open set two these days with a few straight-forward performances of yet to be explored standards. Jim > Wilson > Uncle Pen fill that slot here. Jim would really go out there in a few years, but for right now is a tenant of formulaic-guitar-build land. And that's A-OK. The first heavy-hitter of the set is le Tweezer. Not quite as heavy hitting as others this tour, but fine regardless. 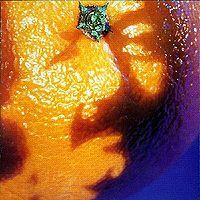 The Lizards and Llama are nice and YEM continues its February '93 streak of YUM-iness. 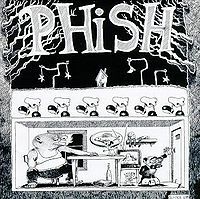 There is a very cool Fish and Trey percussive jam in this version. Trey doesn't join Fish on drums or percussion, instead he veers away from melodic ideas and licks in favor of more rhythmic and percussive guitar playing. The percussive jam turns into a sprinkling of staccato jam which in turn boils back up to a full band shred fest like normal. Mike and Fish, yet again, kill the B&D segment. Ironically, the Lion Sleeps Tonight jam is far less novel than you might expect. The vocal jam is inherently pretty damn novel in the first place; the Lion sleeps tonight jam actually adds a pinch or two of musicality. I promise I'm not just fluffing almost every YEM (2.10 is the single exception so far) yet this tour simply because it's YEM. The song has been offering strong and consistent showings on the reg. Coil, once again, is a fine dessert to Tweezer >>> YEM's delicious main course. Amazing Grace is a wee-bit overdone and musically shake-y. Tasty show. Plate up and serve Tweezer >>> YEM multiple times. 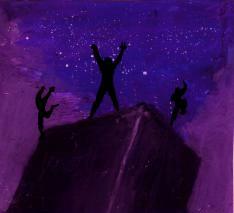 The tenth show of the tour finds the boys in a new venue and in a new state. The first of two shows at the Carpenter Center is pretty well played with minimal mistakes and good sound from Paul as usual. Good recording. Average Bowie to start with, maybe a few spots here and there while everyone gets settled in. Bouncing was pretty average as well. Trey says the wrong name (Leo) for the solo in Poor Heart leading to whispers of Cactussssss... Otherwise it was well played. Ice had a creepy middle section. Glide sounded like Trey was a pinch out of tune. Rift was better than the last two, but still loose in Fish's timing. I thought Stash was really good and a highlight of this show. Funny announcements from Page and Trey as a good Lawn Boy is dedicated to Delaware. I don't believe that Trey's solo is that rare for these earlier '90's shows. Maze was good, but the solo climaxes were a little off. Golgi is a solid closer for this well played set. Good Jim to open the second set. In fact this is a pretty solid, well played set all the way through. Tweezer was another highlight. YEM vocal jam was great, especially Mike leading them into the Lion Sleeps part. 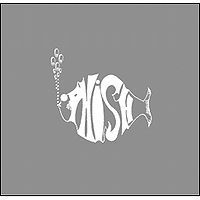 Nice false Fishman intro as Trey goes into HYHU again to piss Fish off. Lengthwise is funny and long with a requested vacuum solo over it. Coil was good with great Page soloing at the end as usual. Cavern was actually pretty sloppy sounding including a vocal flub and the only real chink in the armor tonight after a really good second set. The usual Grace was ok after the shushing. Tweeprise was good. Pretty standard encores for this tour. Overall a very well played show tonight makes me give this one four stars to bump up the average score to about three and a half. Definitely worth a listen if you haven't heard much of '93. This is a really great show. And one that really sets the tone for the year long before Murat and Tinley. Bowie is a hell of a way to start a show. And this one is short but very sweet, it's fire from the start. 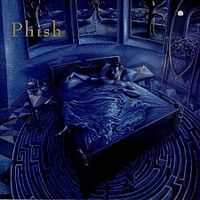 Poor heart is very well played as most Phishgrass is at this time. It's ice is great and unique version. And a great straightforward Stash and Maze. The second set starts with a few quick songs before Tweezer. Basically everything Tweezer onward from this show is fantastic. Tweezer is very solid and thrashing version. Lizards is very well played. Llama is fantastic and has an insane solo from Trey that is very 93'. YEM is very well played and slightly extended for this era with some great peaks by Trey and a little funk with Mike on his own. It also has a pretty great Lion Sleeps Tonight vocal jam. HYHU is a lot of fun and Coil is a great version. Overall this is one of the better 93' shows to my ear and the recording of it is pretty crisp. Seek this out if you like a good setlist.